Learn how to maximize the value of their measurement and control investment. View and learn about the latest products and solutions for process measurement and control. Interact with subject experts and Yokogawa partners. Build knowledge of best practices for particular industries and measurement and control in general. There will be panel discussions, technical sessions, exhibits and more. The event is scheduled for September 10th through 13th, and early registration has started. Make plans to attend and build your knowledge base. 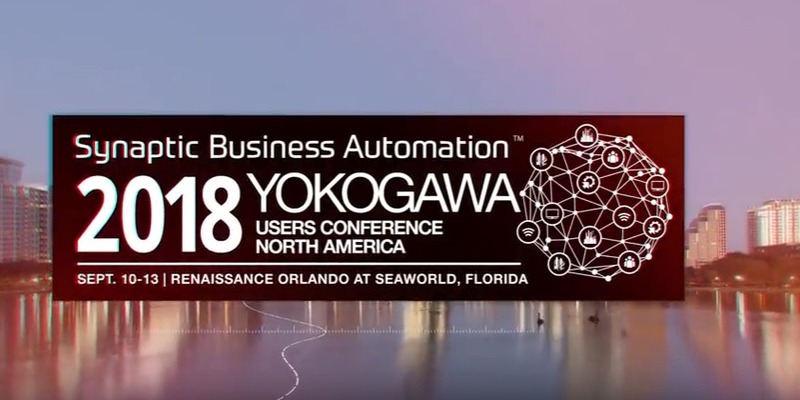 You can find the registration information at the conference website, or reach out to a Yokogawa representative to find out more. pipe sections and those of substantial diameter. The measurement of fluid flow is a common process control function. Flow measurement can have a range of differing output requirements, depending upon the needs of the process operators. With many technologies and instruments from which to choose, knowledge of the principals behind each measurement technology and basic operation requirements can help in the selection of the best instrument for each application. Anywhere there are pipes, somebody wants to know how much fluid is passing through them. Industrial flow meters rely on their ability to measure the change in some physical characteristic of fluid moving within a pipe that can be related to fluid velocity or mass flow. Depending upon the nature of the raw measurement, additional information and processing may be necessary to convert the base measurement into a useful measurement of flow rate. In the processing industries, differing technologies are used to measure fluid motion. Some common technologies include magnetic, ultrasonic, vortex shedding, Coriolis and differential pressure. This list is not exhaustive, and several other technologies will certainly be found in use. Each methodology survives within a competitive marketplace due to its unique combination of performance and value attributes. Let's look at magnetic flow meters, also referred to as magmeters. The operational principle of a magnetic flow meter is based upon Faraday’s Law. This fundamental scientific principle states that a voltage will be induced across a conductor moving at a right angle through a magnetic field, with the voltage being proportional to the velocity of the conductor. The principle allows for an inherently hard-to-measure aspect of a conductive fluid to be expressed via the magmeter. In a magmeter application, the instrument produces the magnetic field referred to in Faraday’s Law. The conductor, moving at a right angle to the magnetic field, is the fluid. The actual measurement of a magnetic flow meter is the induced voltage corresponding to fluid velocity. This can be used to determine volumetric flow and mass flow when combined with values of other fluid properties and the pipe cross sectional area. Magnetic flow meters enjoy some positive application attributes. Magnetic flow meters have no moving parts. The instrument, which often resembles a pipe section, can be lined with corrosion resistant material for use with aggressive media. With no sensor insertions or obstructions in the fluid path, the impact of the instrument on the flow is minimal. Generally, measurement is not adversely impacted by fluid viscosity, specific gravity, temperature and pressure. Though the roster of positive attributes is strong, magmeters are not universally applied. Consider some of these points with respect to your potential application. The fluid acts as the "conductor", as stated in Faraday's Law. 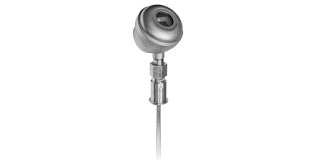 Magnetic flow meters only work on liquids with conductivity above a certain threshold. They may be unsuitable for use with hydrocarbons and high purity water for this reason. 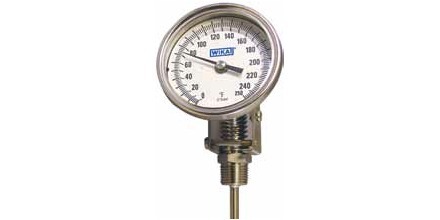 Cannot be used to measure gas flow because gases are not sufficiently conductive. Generally, rated accuracy requires the pipe cross section to be filled by the liquid being measured. This listing of attributes is very general in nature. 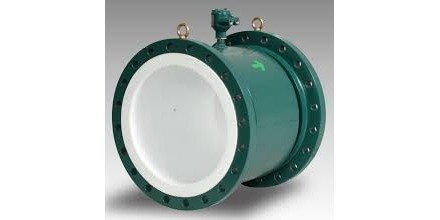 Some magnetic flow meter variants have adaptations that minimize or accommodate the impact of special process conditions. Share your flow measurement requirements and challenges with a process measurement specialist. Your own knowledge and experience will be leveraged into an effective solution by their product application expertise.